Cocoa Candy Cane Cookies! + vegan cookbook giveaway! My gluten free and vegan Cocoa Candy Cane Cookies are ready for your cookie platter! If you love rich chocolate and fresh pepperminty candy cane flavor, these chewy, holiday vegan cookies are worth a try. Perfect for a festive party. 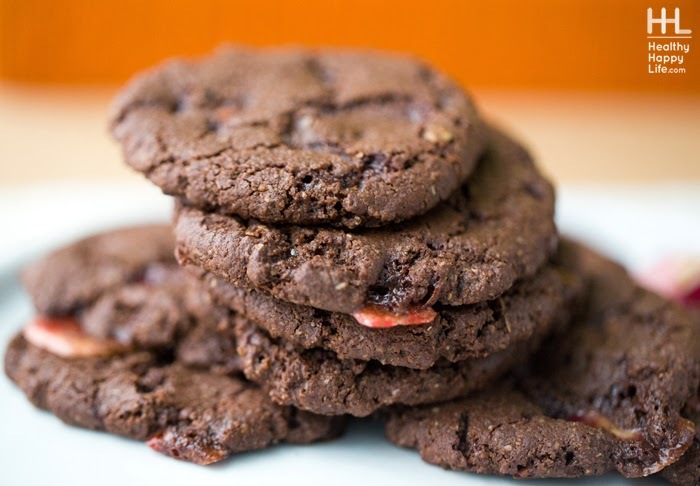 Get the recipe and check out a cool vegan cookie party online!.. Cocoa Cookies. I am so happy to be participating in Kristy's Keepin' it Kind Holiday Cookie party. You can get the recipe for these cookies over on Kristy's website! Also check out Kristy's new amazing book! I went to the book party last night with my friends Whitney and Jason..
Kristy's book is filled with beautiful photos, amazing creative vegan recipes and NO EXCUSES! This is the perfect gift for thet friend or family member who always says they want to go vegan, but "can't" do it. Now they can and this book is proof! Kristy says her favorite recipe in the book is the artichoke "crabcakes" so that will be the first recipe I try! You can enter the giveaway below or order the book today on Amazon! It is already a bestseller!.. Today's Recipe. So often "Christmas Cookies" involve white flour, dairy butter and loads of white refined sugar. But the truth is, you can totally switch out refined ingredients and animal products for vegan substitutions and still have dreamy, happy holiday cookies. Like these! 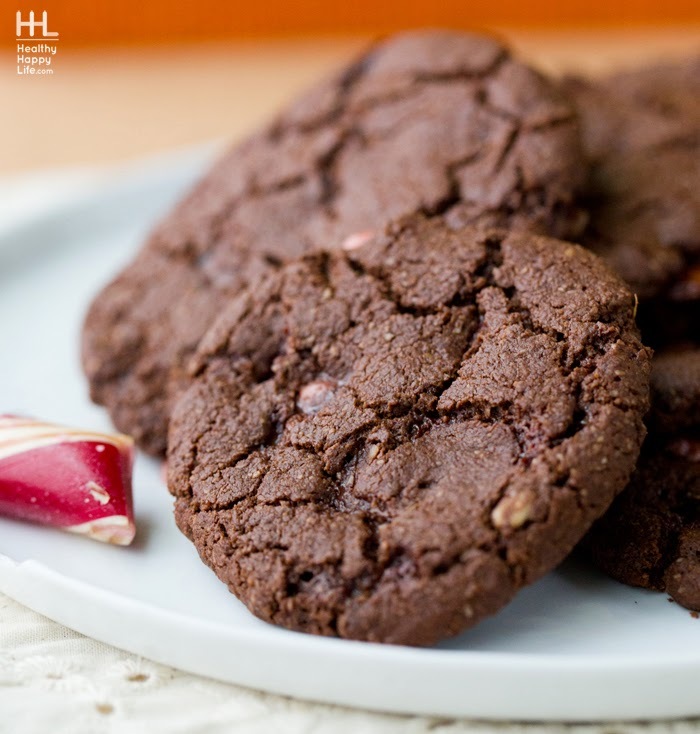 Get today's recipe here: Cocoa Candy Cane Cookies on Keepin' it Kind! Get all the details for the BIG 12 Days of vegan Christmas Giveaway here.